Sophia offers comprehensive Intuitive consultations embracing the spirit,mental, emotional and physical lifestyle guidance. 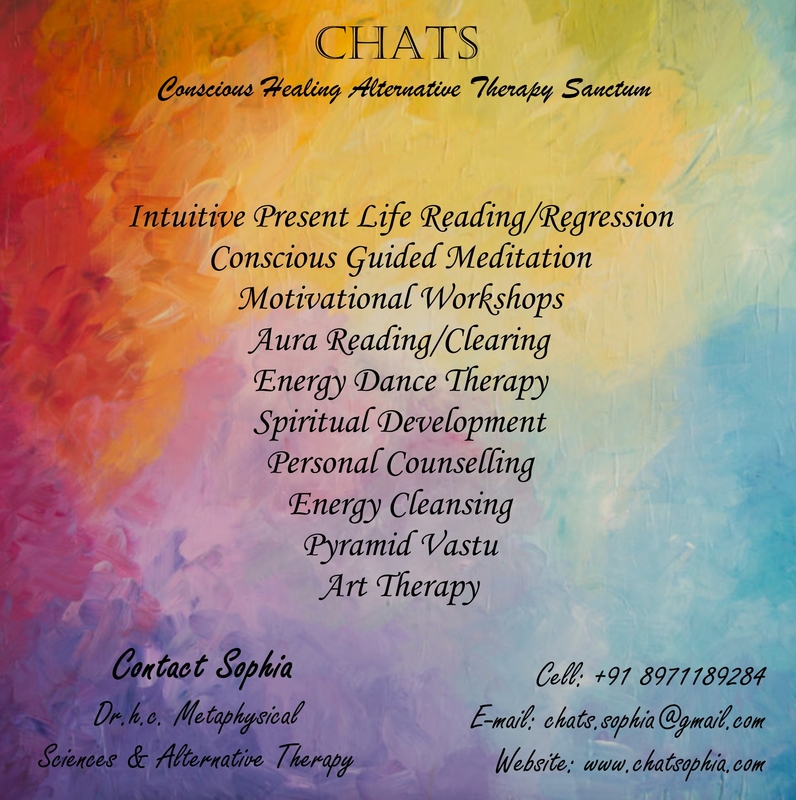 Creating awareness through workshops, one to one consultations and healing. The Journey through life is a continuous process within every experience, understanding the body’s energies working as a channel, the heightened connectedness intuitively works with Consciousness in the Collective as a Reiki and Pranic Energy Healer. effective remedies through guided conscious meditations where, the individual experiences an understanding on how to continue applying the process, as part of their daily routine to enhance their lifestyle. Breath Work Techniques is being consciously aware of your intended breathing at all times, as opposed to being a shallow breather, through combinations of wonderful synergies. “I am consciousness expressing Divinity (It-self) in a body, vibrating at a frequency within this physical experiential plane”. I am a conduit working Consciously with the Collective Consciousness in the “I Am Presence” that is ever present within all of humanity, expressing “It-self’ as the ‘We’ through guidance serving through the physicality, of experiential on earth. The ‘I” or “I Am” is not egoistic, as most have presumed, that one has to curb the ego in order to attain realization. All are realized, one is dis-connected from their ‘realization’, All are ‘en-lighted’, only deemed from their light. All are ‘Buddha’s’, some are sleeping Buddha’s, others half asleep, half awake and fully awake. There are many ancient texts that depict the OMNIPRESENT, through experience I, can attest as the power and energy of love as GOD. The divine presence has no gender, It is within all in the energies expressed through the physicality, as the soul impregnates the physical with the whole-some being-ness of It-self. Within that which you define as the ‘Self’. As an Intuitive Integrated Conscious Healer, I work with ‘Breath’ known by many names life force, Athma, Chi, Ki etc; I acknowledge it as ‘Shakti’ the “Divine Mother” for She is the universal nurturing Mother Energy in all. One can feel the connectedness consciously, as to each one the gratitude expressed are validated through our actions. Her love is ever flowing from Her being, She is ever gracious a Host to us, giving unconditionally of Her motherly love, wisdom and intuition. physical, mental and spiritual. Utilizing a holistic approach, this body/mind science examines a person’s individual constitution, life style and health issues. Using a combination of healing techniques that may include various alternative therapies available to restore balance to the system. “Learning is a continuous process, It begins in the womb when you take physicality and ends not in the grave”.